If there's something you should know about me before reading this post, it's that I'm VERY picky when it comes to my hair. My poor mom had to deal with my tears just about every time I got a 1 inch trim. If that wasn't dramatic enough, let me tell you a little story about the first time I colored my hair. Back when I was in junior high, I decided it would be a good idea to get my dark brown hair highlighted with a box of blonde color that probably cost less than $10 from the drugstore or Walmart. It was one of those kits where you wear that cap with a bunch of tiny holes, pull skinny pieces of hair through the holes, and apply the boxed color to your hair to get a consistent highlight effect. This, my friends, was the last time I colored my hair for a very long time. At the end of last year, I decided I was a bit bored with my hairstyle and color. I find that when my hair is all one tone, I have little to no texture, volume, or definition. I knew I didn't want to do anything drastic (hello, 7th grade nightmare) or high maintenance, so I decided to overcome my fears and give Balayage a go. 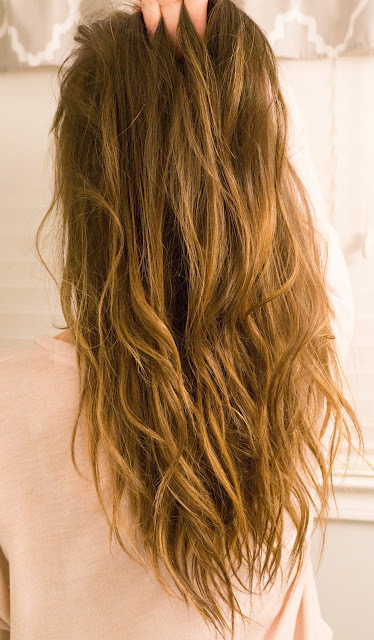 If you're unfamiliar with this coloring technique, the stylist essentially paints color randomly on your hair giving it a natural highlight. I have been so pleased with my Balayage, but after several months, I found that my color was getting a bit brassy, and I wasn't doing much to maintain it. Caring for color treated hair can be a bit more high maintenance, so using a quality shampoo that's formulated for colored hair is beneficial to making your color last. 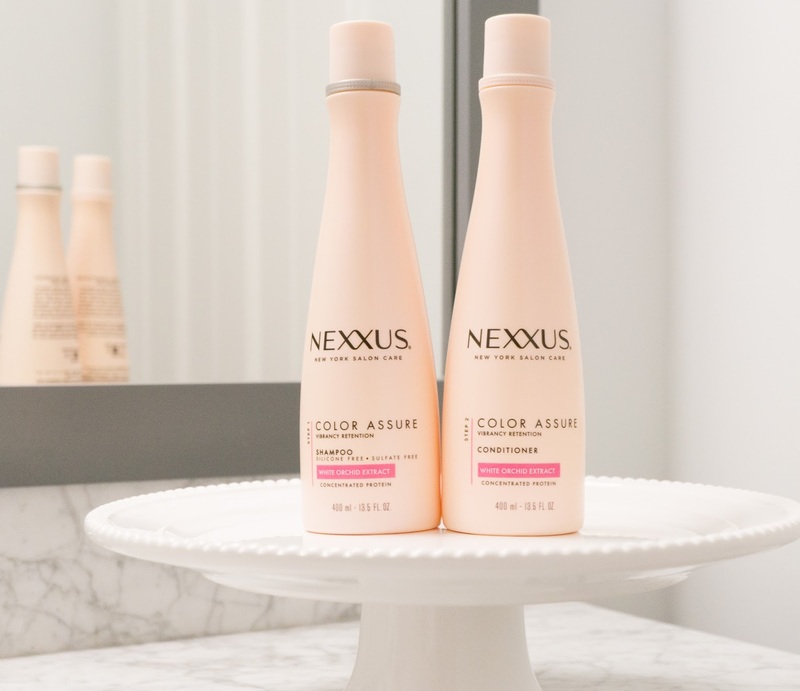 Today I'm sharing my thoughts about the Nexxus Color Assure Vibrancy Retention shampoo and conditioner. I received these products complimentary from Influenster for testing purposes, and I have been pleased with how they performed. This shampoo and conditioner duo smells great, and I appreciate the quality ingredients. I'm no hair guru, but I know using products that are both silicone and sulfate free is important, so that was an added bonus! I will say that the conditioner is not as moisturizing as I would prefer, but if you do not have dry hair, this shouldn't be a problem. Do you have any hair products that you recommend for color treated hair? I would love if you shared them with me!